We are 100% mobile and travel throughout the United States. We have all OSHA approved safety equipment and are proficient in OSHA rules and regulations. All workmanship is covered by our 1 year no questions asked warranty. Tom Clayton Erectors goes the extra mile to deliver quality construction. While viewing the slideshow of the Markesan, WI Family Dollar please note how we fully insulate the front of the building. Taking the time to fully insulate the front wall behind the canopy creates an effective vapor barrier. This step is not completed by most building erectors. We rely on our name and your satisfaction to secure our next job and we always go the extra mile to deliver a quality building. ALL WORK IS COVERED BY OUR 1 YEAR NO QUESTIONS ASKED WARRANTY. Tom Clayton Erectors has built a very vast customer base while working with a very diverse set of pre fabricated building manufacturers. One of the many businesses Tom Clayton Erectors is accustomed to constructing buildings for is the Family Dollar company of stores. As you notice in our portfolio we have constructed many Family Dollar Stores over the past decade. Family Dollar Stores® are your neighborhood dollar discount store, where you’ll find the products you and your family need the most at the lowest prices. Family Dollar has many items you use on a day to day basis including, groceries, health and beauty products, household goods and clothing, Family Dollar® stores carry national brands at incredible savings. One of the fastest growing discount stores is Dollar General. Our familiarity with pre engineered buildings makes us the perfect partner for new Dollar General store locations. Tom Clayton Erectors is typically able to construct a new store in under two weeks time. We pay close attention to details in order to deliver Dollar General store construction on time and on budget. Dollar General Corporation is the nation's largest small-box discount retailer. Dollar General stores make shopping for everyday needs simpler and hassle-free by offering a carefully edited assortment of the most popular brands at low everyday prices in small, convenient locations. Dollar General ranks among the largest retailers of top-quality brands made by America's most-trusted manufacturers, such as Procter & Gamble, Kimberly Clark, Unilever, Kellogg's, General Mills and Nabisco. Tom Clayton Erectors is very affluent in the contructions of most all pre engineered steel buildings. 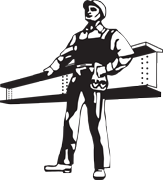 Namely Chief Buildings, Schulte Building Systems, Behlen Building Systems, Golden Giant, Mid-West Steel Building Co, Nucor Building Systems, Varco Purden, American Buildings, A&S Building Systems, Butler Buildings, Kirby Building Systems and many more. Tom Clayton Erectors works closely with the top manufacturers of metal buildings in the country including Nucor Building Systems. Nucor Building Systems is a leading manufacturer of metal building systems including the industrial, commercial, warehouse, community, and agricultural markets. As an authorized Nucor Builder, Tom Clayton Erectors, is one of the best design-build contractors in the US, providing exceptional solutions, on time, and within budget. Tom Clayton Erectors trusts only the best manufacturer’s in the industry. One of those is Mid-West Steel Building Company. Since 1970, Mid-West Steel Building Company has been manufacturing custom-engineered metal buildings for a wide variety of uses. Mid-West buildings are shipped to your building site, complete with all needed parts, and ready to bolt together. No on-site welding is required, saving you money and construction time. Tom Clayton Erectors staff will work directly with you to create a custom-engineered metal building system that meets your needs and budget. Whether your building is for commercial, industrial or institutional use, Mid-West is ready to deliver. We work closely with our clients building needs to create a suitable plan, design and timeline for their specifications. We coordinate with the client, site manager and other contractors to get the building up and running as soon as possible. Constructing your building in the most efficient and safest way possible for guaranteed on time delivery. Please take the time to complete the contact us form on our site or call us to discuss open positions.